You’ve just started a light air race; you’ve had an okay start but are being pinched off or are sitting in bad air. How do you ensure you stay ahead of the competition? The number one rule in light wind is to sail in clear air. 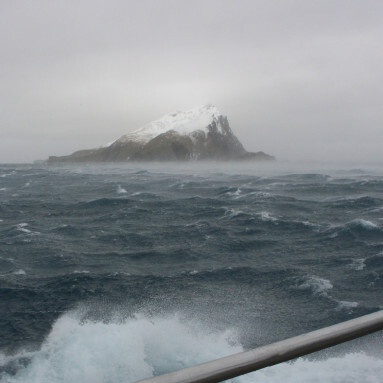 Clear air is a high priority in any condition, but in light air conditions sailing in dirty air can be extremely costly. 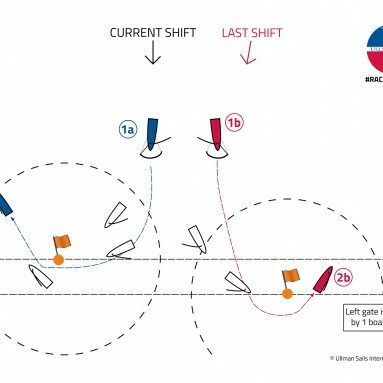 Find a clean lane first and then use your new found boat speed to maneuver around the course. If you have someone just below you who is keeping you pointing high, it may be worth tacking out. Alternatively if you are sailing just under someone, it may be worth footing off to get some separation. As we all know, acceleration is especially difficult in light air. 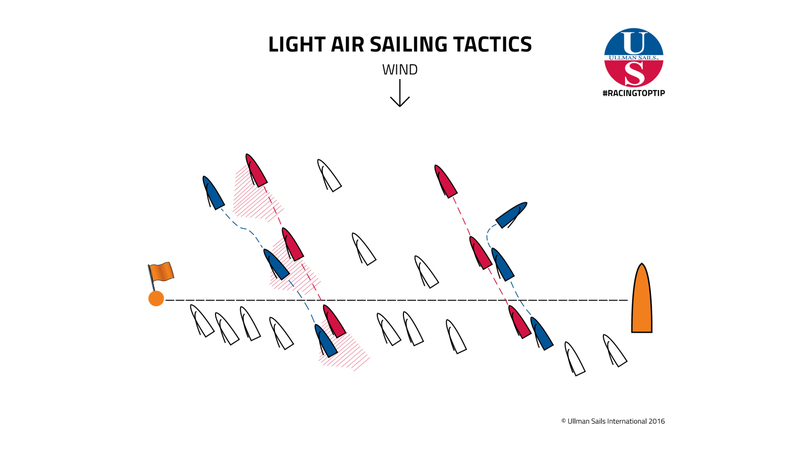 This means that minimizing tacks is a good general strategy and the heavier the boat the more important it is to reduce maneuvers. 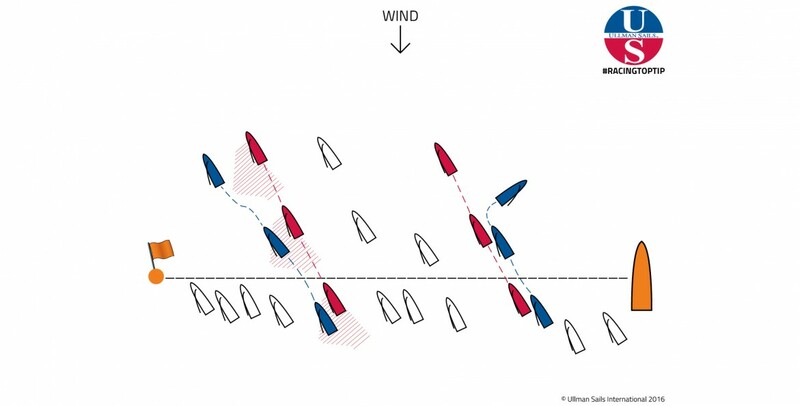 The more tacks you do the less time you will spend simply sailing at top speed. And, when you must execute maneuvers such as tacks and mark roundings, it is critical to use the crew’s weight and sail trim to help steer the boat, adjusting each as you accelerate. Vocally coordinating with your crew through maneuvers can be the difference between getting up to full speed quickly and a stalled boat. Controlling the boat’s heel angle (also called boat trim) is also critical to light air boat speed. Modern boats that carry max beam (the widest point of the boat) well aft tend to develop a lot of drag if the stern is low in the water. Creating heel and getting the back end of the boat out of the water can make a huge difference in reducing drag. Moving weight to leeward is a standard practice. You may also want to test moving weight radically forward to see how it helps. Many boats come to life with half the crew forward of the mast on the leeward rail. 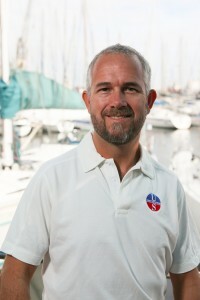 Jerry Latell offers extensive experience as a racer and sailmaker. 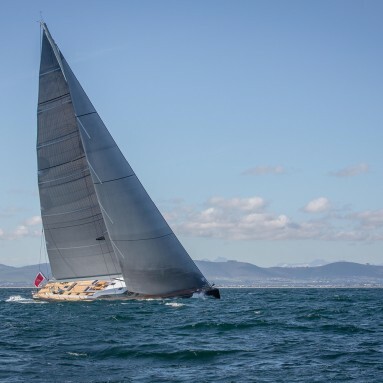 Jerry started out racing his San Juan 24 locally but has moved on to much more competitive racing, his achievements including a class win in the Newport Bermuda Race. When Jerry isn’t sailing, he is at his loft based in Deltaville, Virginia where he has been a sailmaker for over 17 years. The Ullman Sails Virginia also specializes in Classic Series sails; having produced museum quality sails including those for the Jamestown ship and the United States Coast Guard Cutter the ‘Eagle’.